I literally just finished this book two minutes before I started writing this review. I have one word for you: Asher. End review. No, not really, but you know what guys? You need to read this book when it comes out. I can safely say that of all the books I’ve read this year, A Beautiful Dark is my favorite read. This is not your average take on the angel trend. A Beautiful Dark has its own twist on angels and their fallen counterparts, and I loved it. The Guardians and the Rebels, each with their own set of powers and rules, or lack of rules. I had skimmed the last page, and ended up thinking one thing had happened, but thankfully I didn’t fully understand what I had read, because what I had thought was completely wrong. There’s a big twist in the end, and it leaves you hanging. Major cliffhanger. So unless we live in a cruel world, there will be a sequel. Can I have that now, by the way? Now, for the two hotties featured in this book. I pretty much gave away up there which team I’m on: Asher. The bad boy who is just charming and arrogant enough to be endearing instead of annoying, plus there is an actual reason behind the way he acts. We’re introduced to him first and I’m sorry to say that Devin never stood a chance with me. With Asher, I experienced love at first sight with this character. Devin, the good boy who always does what he’s told, is tranquil and calm. I can see the appeal in a character like that, but he didn’t do anything for me. Skye was awesome. I loved her in the beginning when she first meets Asher and Devin, she’s a bit sassy and flirty. In the middle she was full of confusion, which is understandable considering there are two opposing forces basically saying choose a side or die. And then in the end she’s just angry and fed up with everything. I can’t wait to see what happens to her in the sequel. 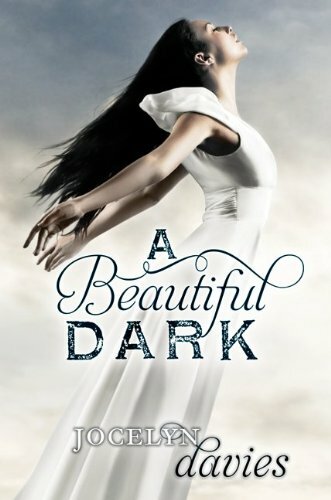 The pacing for A Beautiful Dark is somewhat slow, but honestly I loved it. I don’t need what I’m reading to be dripping with action on every single page throughout the entire book. I felt the slow pacing was perfect, building up to an action packed cliffhanger ending. The writing flowed well, making this a fast read. I finished it in less than two days. The only area that had a hiccup was near the end when she’s in a calm before the storm period, and then suddenly switches to the storm. While I knew what would happen as soon as I began reading that part, the switch was too sudden to be smooth. It jarred me out of the book for a moment. Other than that though, I honestly have no other complaints about this book. If you want a new take on angels and the supernatural genre in general, look no further than A Beautiful Dark by Jocelyn Davies. This is a breath of fresh air in a genre that is saturated with average stories, a definite stand-out. I will be pre-ordering a copy, because I must have this in my own personal library. I loved the cover of this book so it got added to my wish list but after reading your review I know it belongs there. You said the magic words: bad boy. That’s my first time reading a review for this book and you made sound like a book I would want to read. Its sounds amazing. Thanks!